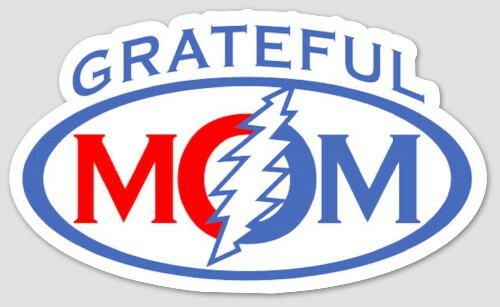 Whether you're a deadhead with kids, or the proud momma of deadhead, this sticker is for every grateful mom out there. It's an all weather vinyl slap die cut sticker that measures approximately 5" x 3". Put it on the car, boat, cooler, anywhere.